With companies/business having different types of data marts/datawarehouses there is a fear that these could become independent silos and could not provide value to the business as a whole. There has been lot of resources(Time,Money,People) being invested in building a datawarehouse/data marts. The business would like to get value from the disparate datawarehouses/data marts, so the concept that has been in play for quite a while is Data Virtualization. Data Virtualization could be defined as process of building a agile data layer for easy data access and delivery. This is also sometimes referred to as the data abstraction layer so that users can get access to data quickly. 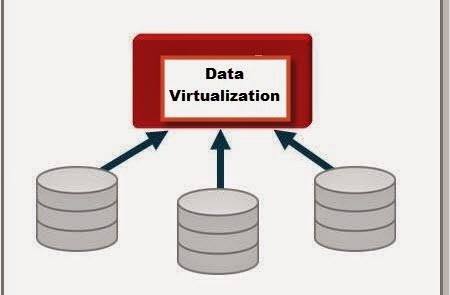 Having defined Data Virtualization, where does one use this concept: Here are some of the situations where Data Virtualization could be used. 1. Data Federation - Scenario: A application requires data from multiple incompatible data sources. 3. Data Virtualization - Build a Agile Data layer for easy data access. Based on the scenario and type of question we are trying to answer, Data Virtualization could be a solution. The concepts described here were based on a article related to the Composite , a data virtualization/Integration tool from Cisco (http://www.compositesw.com/data-virtualization/).